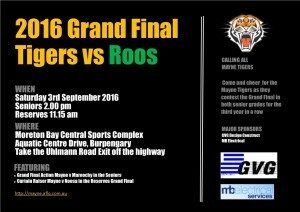 Come and support the Tigers in their quest to make history with their third consecutive grand final appearance. 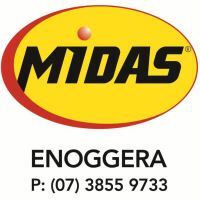 The Tigers are appearing in the two grand finals this Saturday at the Moreton Bay Sports Complex, Aquatic Centre Drive, Burpengary with the Reserves kicking off against Noosa at 11.15 and the Seniors to play the Maroochy Roos at 2.00pm in a repeat of the 2015 finals at the same venue. The Mayne Football Club has been successful on seventeen occasions since 1924 going back to back on six occasions but has never been able to achieve three in a row. All current Mayne Tigers, past players, family, friends and supporters are encouraged to get along this Saturday to get behind the boys of 2016, make a lot of noise and cheer them on to success.